Jorie circling a cow at US Nationals on KK Chics Patriot. Jorie and Chic have been US National Champions Working Cow Horse both 2016 & 2017! Pictured here with Katie Beck, Bob Hart and Jorie's fiancé Patrick Gallagher. KK Chics Patriot was also 2017 US National Champion Open Working Cow Horse. Jorie riding one of her many English Pleasure horses to another win. 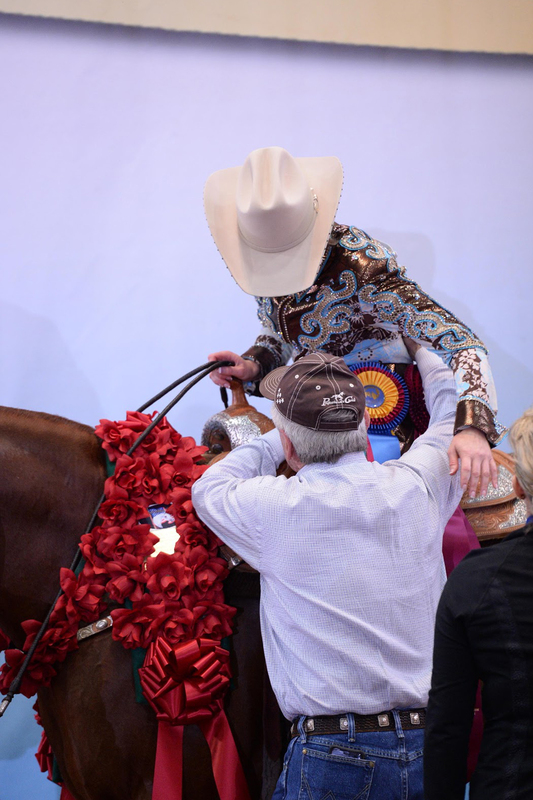 Jorie showing her National Champion Reiner Im Genuinely Oz. Chris has been a great success story. In the beginning Chris sent a horse she had show previously to us for training to see if we could make her and "Buster" a better team. We did our job and made them a better team, but Chris wanted more, she had her sights set on higher goals. We decided get a younger horse. After selling Buster Chris and Bob decided to purchase Zipinupastorm, this was a great choice. In just a few short months they were a winning pair. Chris and Zipinup won Championships at both Region XI and Region XI. In their second year as a team they won the National Championship in the Select division!! Ever since then they have been a force to reckoned with every time they enter the arena. Chris has certainly stepped up her show ring game. sister Sheri Scanlan and Katie Beck. 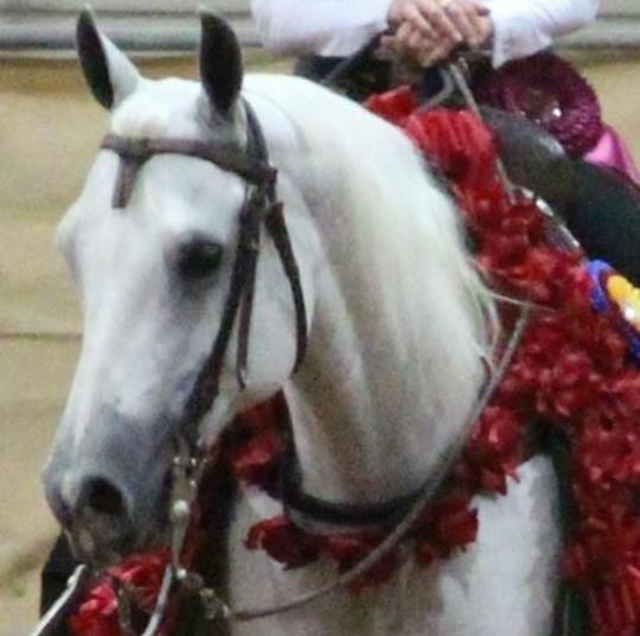 Candy Larsen has been riding and showing Arabians for many years. She started riding with Katie about 10 years ago in Wisconsin. When Katie made the move to Oklahoma Candy said she was moving too! Candy has had several horses throughout the years, one of her favorite rides was Maleah Maria who she was able to ride to Res. Canadian National Champion! In recent years Candy has shown her stallion Shiloh Jullyen V, she has won many times on him including Region XI Res. Champion. Most recently Candy has shown One sweet Kid SLR in the Select rider division and was Res. Region XI Champion. Candy and Katie still have their eyes set on winning big at the US Nationals, watch out Tulsa here they come!! Candy Larsen showing her stallion Shiloh Jullyen V at US Nationals. Candy showing Maleah Maria at the Canadian Nationals. Bobbi Stuckenhoff lives in a place that most can only dream about, a place that is magical, serene and feeds the soul. As you get off the interstate and make the drive to the ranch, you can feel the worries and headaches of everyday life slowly fade away. The creek that meanders through the property and next to the house seems to be “talking” and on some occasion’s deer, antelope and elk can be seen roaming the pastures. Talking Waters Ranch covers 2,200 acres and is nestled in the Big Horn Mountains near Buffalo, Wyoming and is home to some of the industry’s most beautiful Arabians. 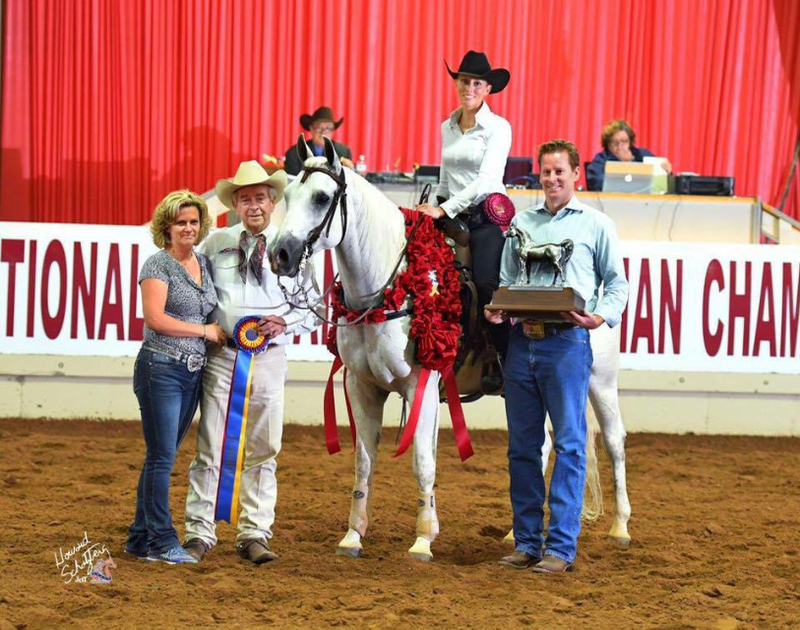 Bobbi Stuckenhoff routinely breeds some of the most athletic, talented and intelligent horses. Bobbi has lived most of her adult life on the B.B Brooks Company Cattle Ranch in Casper, Wyoming, which was owned by Ed Stuckenhoff and his father. Ed was in charge of operations and Bobbi soon joined in. Like anyone living on a ranch, she has been heavily involved in all aspects of ranch life; from being a cowgirl and working the cattle, to helping put up hay, attending to the monthly bookwork in the office, irrigating pastures, fixing fence, foaling out mares and everything in between, Bobbi has done it all! She has lived the life that some only dream of or see in movies! The Brooks ranch was incorporated in 1886 when Wyoming was still a territory and consisted of 126,000 acres. At any given time, they ran between 1,500-1,800 mother cows, 1,000 yearlings, a collection of bulls, a small herd of registered purebred Herefords, between 3,000-10,000 sheep and 40-50 ranch horses. Four thousand acres were farmed, with nine hundred acres being intensely farmed to produce corn silage for their feedlot. One unique trademark of the Brooks ranch was that they owned their cattle from the time they were conceived to the time the beef was delivered to the produce stores. They were able to evaluate the quality of the meat they produced and always aimed for, and achieved, high percentage choice and prime beef. The sheep were raised for their meat and wool; after working hard to produce the finest and softest wool in the world, much of it went to the fine woolen mills in Italy. This all took a tremendous amount of time and effort, but they always felt that it was worth it. Eventually, they downsized and moved to Talking Waters Ranch in Buffalo, Wyoming. They continued to do many of the same things, but on a much smaller scale; they continued to run cattle, irrigate pastures and breed horses. This is where another change came into play; they decided that there were plenty of ordinary horses in the world, and if they were going to be breeding horses, they wanted to breed the best they possibly could. A trip to Scottsdale got their interest piqued and a subsequent visit to Varian Arabians in Arroyo Grande, CA, and the rest is history! While visiting Varian Arabians, Ed and Bobbi purchased their first Arabian mare, Madonna V, who was by Desperado V and out of Moska, a mare many western trainers love to have in their prospect’s pedigree. Their next visit to Varian Arabians was for the Summer Spectacular, where they met Bob Hart, Jr., and purchased The Marshall V and Material Girl V. They soon became clients of Vallejo III, Inc and began collecting some of the finest and most successful Arabian horses in the western pleasure division, as well as the working cow division. 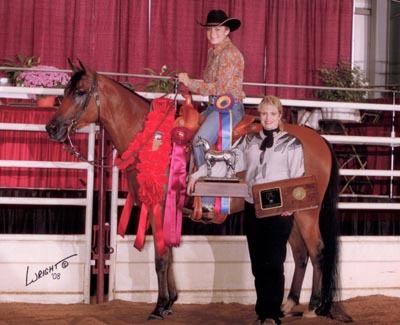 AlitaFame+ was Canadian National Champion Western Pleasure Junior Horse, Reserve Canadian National Champion Open Western Pleasure, US National Top Ten Western Pleasure Junior Horse and Multiple Regional Champion in the Western Pleasure division. 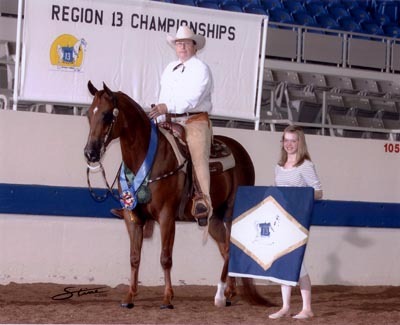 Princess Huck V was Reserve National Champion, Scottsdale Champion, Buckeye Champion and Multiple Regional Champion in the Western Pleasure division. The Marshall V, an athletic son of Desperado V, was Canadian National Reserve Champion, US National Top Ten, Scottsdale Champion and Multiple Regional Champion in the Working Cow Division. Rave VF was US National Champion, Canadian Reserve National Champion, and multiple Regional Champions in the Western Pleasure Division. 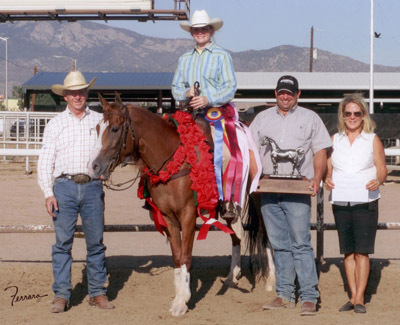 Marshall Dillon, a son of The Marshall V and bred by Talking Waters Ranch, was Regional Champion and Scottsdale Reserve Champion in the Working Cow Junior Horse division. This is just a short list of the successful horses that Talking Waters Ranch has either bred or owned; it seems that any horse they had contact with enjoyed a flourishing show career with many national awards. While all of these horses have had an impact on Talking Waters Ranch, Princess Huck V is perhaps the most important member of the “family.” Princess is an exquisite daughter of Huckleberry Bey and out of a *Bask daughter, MHR Princess Bask. With a strong pedigree, incredible talent and willing attitude, Princess is the queen of Talking Waters Ranch. After her very successful show career with trainer Bob Hart, Jr. of Vallejo III, Inc, that included a National Reserve Champion, Scottsdale Champion, Buckeye Champion and multiple Regional Champions, Princess returned home to Talking Waters Ranch where she has enjoyed life as a broodmare. She has produced foals by *Jullyen El Jamaal, Rave VF, and most recently, Rohara Moon Storm+//. Her oldest filly, Princess Raves, is in training at Vallejo III, Inc, where she has developed into a winner in the western pleasure division. 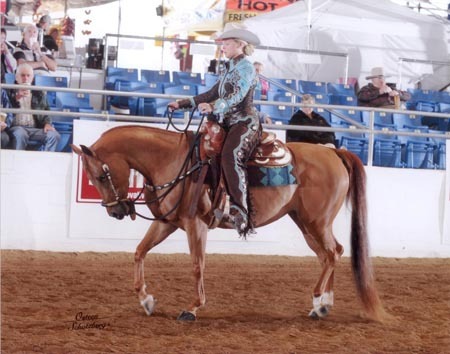 In Scottsdale of 2010, Bobbi rode Princess Raves to a Top Ten win in the Western Pleasure Select Rider division; it was a proud victory pass for Bobbi as she was the owner of both parents and foaled out Princess Raves. Princess Huck V is royal, regal, elegant and the most precious jewel of Bobbi’s collection of horses! Another important acquisition for Talking Waters Ranch was the purchase of the stallion Rave VF, who is a full brother to the legendary Fame VF+. Rave VF was acquired as a breeding stallion for the mares that Ed and Bobbi were carefully choosing, and he complemented them in every way. Rave VF was beautiful and athletic, which he proved while winning a US National Champion, Canadian Reserve National Champion and multiple Regional Champions in the Western Pleasure division. Rave VF spent time at Talking Waters Ranch before finding a new home in Australia. After an unfortunate accident left Bobbi in control, she chose to sell the cattle and focus entirely on the horses. While it was a tough decision to make, Bobbi streamlined the operation and retained only a few of the mares; Princess Huck V, AlitaFame+ and Mi Khemo Lace were ones that could never be parted with and will continue to live in the lush pastures of Talking Waters Ranch. AlitaFame+ is a beautiful Fame VF daughter who has been successful in the western pleasure division, and has most recently produced a stunning daughter by *Jullyen El Jamaal. 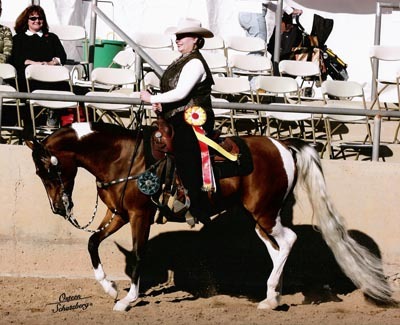 Mi Khemo Lace has been a National winner in the mare halter division as well as a Regional Top Five winner in the Western Pleasure Junior horse division, and has produced a beautiful and athletic daughter by Fairview Klassique. Lace was the dam of Marshall Dillon, who was a winner in the working cow division, as well. The Talking Waters Ranch bred horses have always been versatile, athletic and possess willing and friendly personalities. Although hard to believe that Bobbi would have much time for anything other than horses and tending to the ranch, she does have a variety of hobbies that continue to keep her busy and fill her schedule! An enthusiast for photography, Bobbi worked as a professional photographer and designed magazine layouts when she was young. Photography remains a great interest of hers and she loves having photo shoots of the mares and babies every spring when the grass gets green in the Wyoming Mountains! 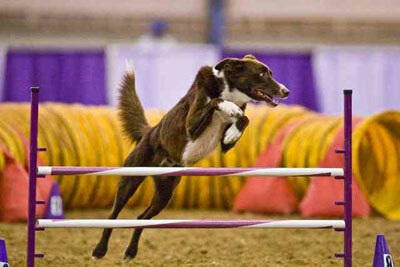 Not one to shy away from competition, Bobbi also competes in dog agility trials with The North American Dog Agility Council. The group encourages sending the dogs through complicated patterns and equipment while working at a great distance from the dog. While they do have trainers, it is not for the dogs, but for the people; they encourage the owners to train their own dogs, and will train you to do it! Bobbi and her Border Collie Jigs have competed at the NADAC Championships a number of times, and any ribbon won is a great point of pride! Bobbi says that it is very fast, very difficult, very exciting, and very, very addictive!! Another hobby of Bobbi’s is hot rods! Her brother started building hot rods before he was old enough to drive them, and from him, Bobbi cultivated a love of great old cars. She has owned two; a 1937 Lincoln Zephyr, which she sold at the famous Barrett-Jackson auction and a 1931 Durant. She still drives the Durant with the original body and interior, and has the addition of the “comfy-modern stuff,” power steering, power brakes, power window, heat and air conditioner! Although she hasn’t taken the Durant to a car show recently, she plans to in the future; it is just too rare and special to keep out of the public eye! In 2002, Max Torbert came into her life and has been a great asset in more ways than one. Max worked for the city of Casper for 28 years in a variety of roles, but was instrumental in bringing in the College National Finals Rodeo, booking concerts, and starting the Broadway Theater Productions in Casper, Wyoming. He officiates soccer and has officiated the State Soccer Tournament for over twenty years. Max has shown an amazing aptitude for the ranch life and is a natural with the horses. He loves to ride the ranch with Bobbi, but if he is not doing it on horseback, he is on his mountain bike! Bobbi and Max love to travel, and while they have a “bucket list” of exotic places they want to visit, their time seems to get booked with dog trials, horse shows and officiating obligations. They always make time for a few weeks of scuba diving in the Caribbean and week in Oregon. Bobbi has been attending The Oregon Shakespeare Festival for twenty-four years. It is one of the largest and finest repertory theaters in the country. In a six-day period, they will watch nine plays!! While in Oregon, Bobbi and Max also take the opportunity to spend time with Max’s sons and grandkids that live in Portland. Combining the Festival and family time always results in a memorable trip! 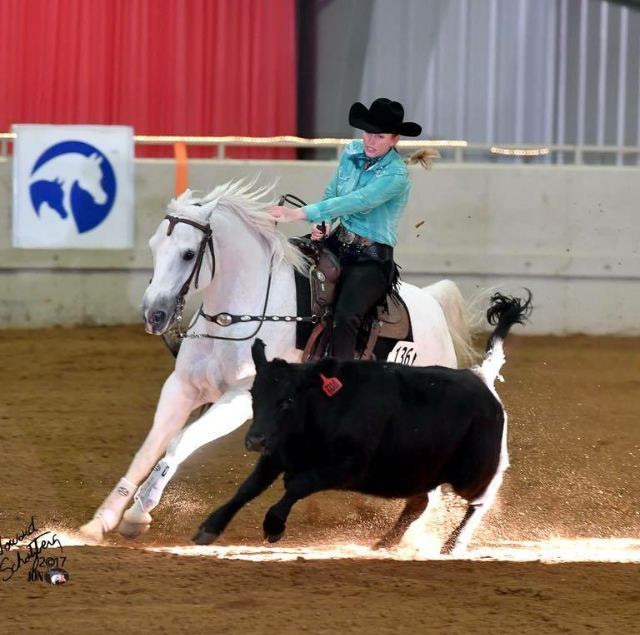 Bobbi’s plans for the upcoming months include heading to Indianapolis, Indiana to compete at the Region 13 Championships in the Western Pleasure Select Rider class on Princess Raves. This fall the pair will compete at the US Nationals in the same class. Although new to showing, Bobbi is a natural and has shown a great willingness to learn and has come a long way in a short amount of time! All of us at Vallejo are very proud of her progression and enjoy watching the thrill she gets from her new endeavor into the show world! Bobbi and Max plan to continue breeding and raising the foals that the Vallejo team find rewarding to train. Princess Huck V just had a bay colt by Rohara Moon Storm+// that will no doubt be a western pleasure superstar. A big believer of allowing horses to grow and mature at their own rate, Bobbi has two *Jullyen El Jamaal two year olds in the pasture that are sure to follow in their parents hoof prints. Although Bobbi and Talking Waters Ranch have undergone many changes since the beginning, you can always count on them breeding athletic, intelligent and quality horses. It is the one characteristic that will never change. Bobbi and Max both look forward to the upcoming show schedule and to what the future holds. If the past is any indication of the future, it will be a rosy one indeed! Jessie Szymanski and her very supportive dad, Frank became clients of Vallejo III in the summer of 2007. Together they own and operate Paradise Farms in Riga, Michigan where they have a collection of retired show horses, mares, young horses and a Shetland pony named Charley! They enjoy many aspects of the horse world; as fun as the shows are, it is just as much fun to help the mares foal each year and then watch the babies grow up and become show horses. Jessie and Frank enjoy attending the horse shows and taking in all they offer. Jessie stays busy by competing in the halter, western and hunter divisions, but they both make every effort to watch as many classes as they can and support the friends they have made along the way. Jessie was horse crazy as a kid and started riding in the second grade. Her first “horse” was a paint/quarter pony name Joey, while her first show horses were McCoys Dakara and Shades of Kentucky. They all still live at the farm, enjoying retired life and being spoiled. McCoys Dakara had a Half-Arabian gelding, PF McCoys Wildfire, who Jessie showed for a number of years and had much success in the ring. 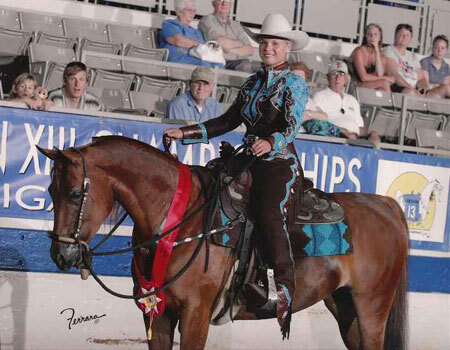 “Romeo” and Jessie teamed up for an East Coast Championship, a Regional Reserve Championship, a number of Regional Top Fives, a National Top Ten in 2007 and many blue ribbons. 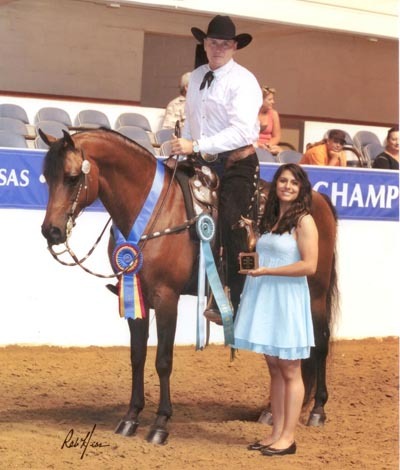 During Nationals in 2008, Jessie and Frank purchased a Half-Arabian mare, Smokin N Havana from Vallejo III Inc. to be Jessie’s new western horse. 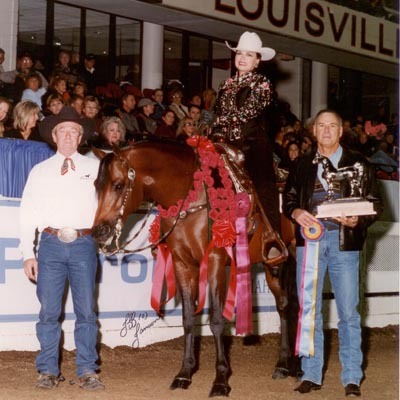 In 2009, Havana was campaigned by trainer Bob Hart as a futurity horse, while being shown a limited number of times by Jessie. 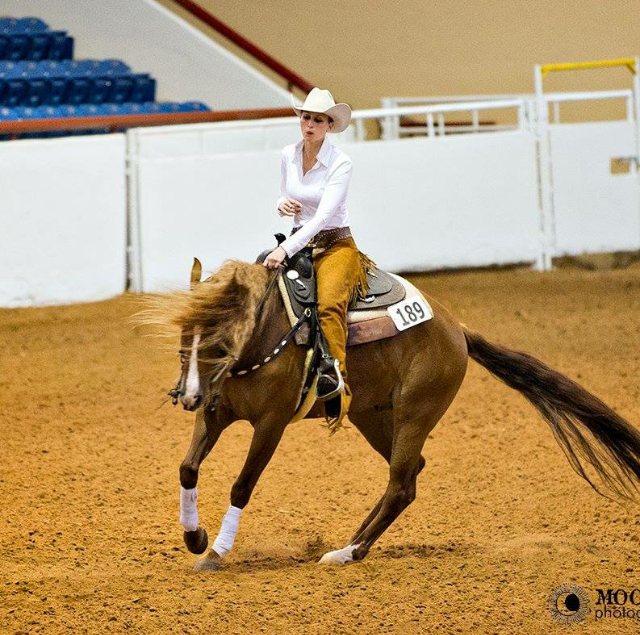 It was immediately evident that Jessie and Havana are the perfect match; with Havana’s soft movement and Jessie’s quiet riding style, they are a competitive pair in the amateur division. Havana finished 2009 with a Top Ten finish in the Half-Arabian Western Pleasure Futurity and started 2010 off strong in Scottsdale where she and Jessie earned two Top Tens in the Half-Arabian Western Pleasure Amateur classes. Havana was Top Ten in the Half-Arabian Western Pleasure Junior Horse class as well with Bob Hart riding. Jessie and Havana are an exciting pair to watch and the definition of teamwork! In the last few years, Jessie has also found success in the halter ring with her three-year-old Purebred mare, Desiree BHF, (by Denali BHF). As a yearling Desiree was champion in the Scottsdale Signature Class and Regional Reserve Champion. 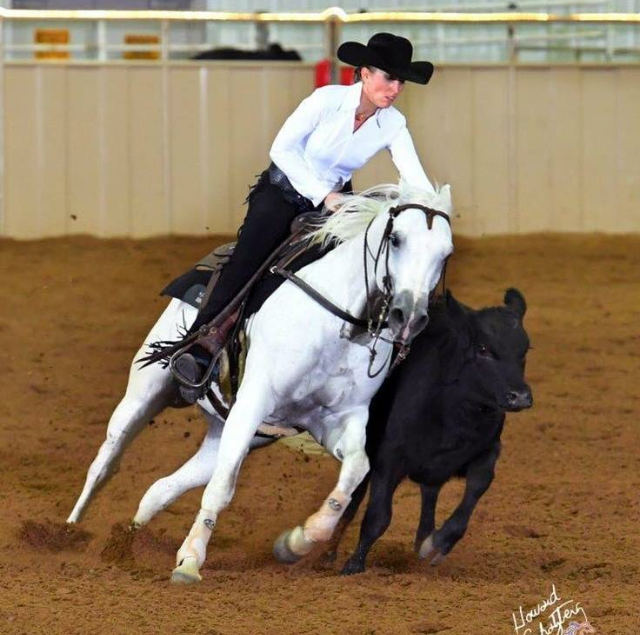 Desiree went on to have a successful two-year-old year, as she was Top Ten in Scottsdale, Regional Reserve Champion Two Year Old Fillies, and then teamed up with Jessie to be Regional Reserve Champion in the Amateur division. PF How Sweet Itis is a beautiful three-year-old purebred chestnut mare that won Regional Champion in the Open and Amateur Halter division before coming to Vallejo in the fall of 2009 to begin her western training. “Sweetie” has a bright future ahead of her in the western pleasure division and Jessie is excited for the day that Sweetie will make her western pleasure debut and she will get the opportunity to show her! This year at Nationals, Jessie will be showing in both the western and halter divisions. 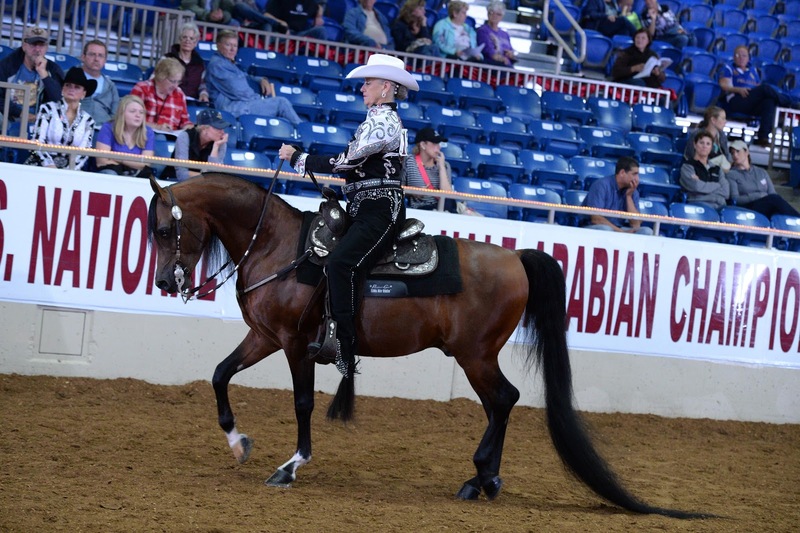 In the Half-Arabian Western Pleasure Amateur Maturity and Half-Arabian Western Pleasure AAOTR 18-39 championship classes, Jessie will show Smokin N Havana. Homebred Half-Arabian Yearling, Pretty Young Thing PF, is a flashy pinto filly that will compete in the Half-Arabian Breeders Sweepstakes Class. Jessie and Desiree BHF will compete in the Purebred Mare Amateur to Handle class as well. While showing halter is an interest of Jessie’s, she and Frank like to participate in the Scottsdale Signature Auction program and breed a couple for that each year. 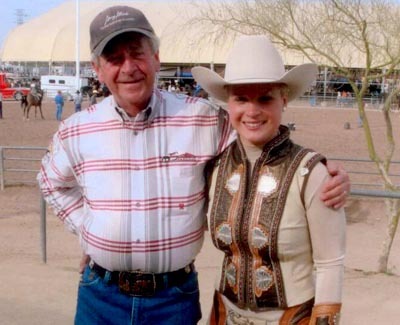 They attend the Scottsdale Signature Auction in Scottsdale every year to purchase breedings; this year they purchased a breeding to Eden C, who will be bred to Desiree BHF for a 2011 foal. This year they have had four foals; two Purebred’s, one by Psymreekhe, one by Fausto CRH and two Half-Arabian Pinto’s, both of which are by RA Psyche Patriot. They believe that it is a good program to be involved in as it offers them another avenue to meet new people and enjoy their horses. 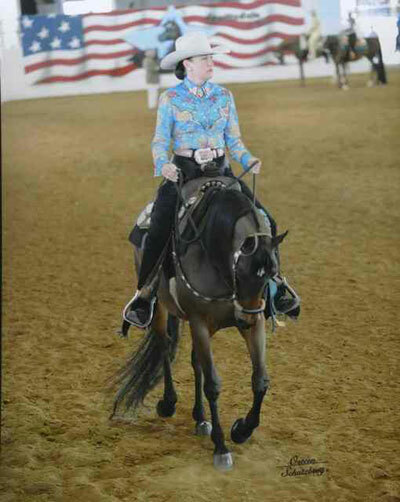 Jessie graduated from Michigan State University in 2007 after earning a certificate in Horse Management as well as a certificate for participating in Study Abroad in Ireland to study the horse industry. She is currently attending the University of Toledo and is pursuing her bachelors in business and marketing, which will help her in the business portion of the farm. When not foaling out mares, riding and taking care of her horses at home or showing, Jessie has a variety of hobbies that keep her busy. She likes to stay active and does so by riding jet-skis, boating, rollerblading, traveling, fishing, and of course, shopping! She loves to be outdoors and will take part in anything to keep her outside! Kim McAferty has been a life-long resident of Olympia, Washington. She and her parents, Mike and Linda, own Lakeview Farm and run a small boarding barn where Kim enjoys interacting with the youth and watching their progress as they begin their horse adventure. Being a part of the young riders growth has been a rewarding experience for Kim; it is a daily reminder how lucky we are to have horses teach us invaluable lessons. Kim was horse crazy as a child and in the second grade got a Pinto pony named Khemo who was a dear friend. Khemo and Kim were inseparable, but she soon needed a “full size horse”. She loved Arabians for their beauty and athleticism, which led her to a Ga’Zi son, Gazin, who was purchased from a close friend, Karin Struck. Kim then acquired Twin Fir Uranus, “Rainey”, and a few years later, Sun Shadow+//. 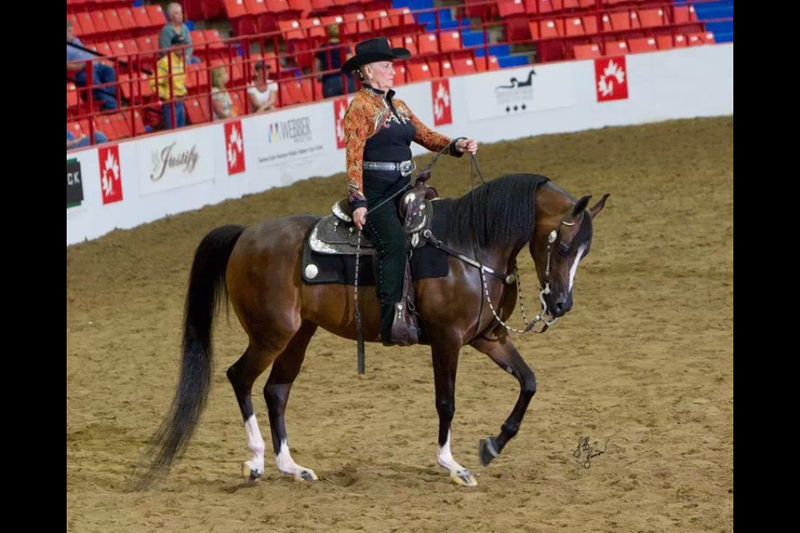 Kim and Shadow were very successful in sidesaddle and western pleasure, earning National Top Tens at the Canadian and US Nationals, as well as capturing many regional wins. Shadow is now 31 years old and still lives at Lakeview Farm enjoying retirement and soaking up the attention of any visitor to the barn. It should come as no surprise that Kim’s all time favorite horse is Kentucky Kisses+//. She relished the opportunity to show her, fiercely loved her at home, and has since found satisfaction watching Kisses’ foals grow up at their farm and go on to enjoy individual show ring success. Kisses had three foals, all by different stallions. 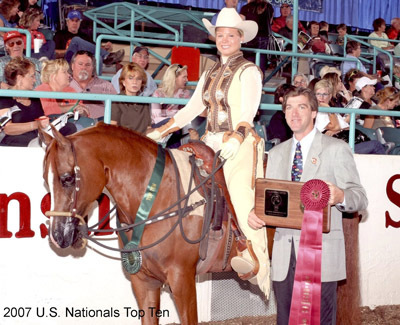 Tstolen Kisses was Top Ten at US Nationals in 1999 in Half-Arabian Western Pleasure Junior Horse; Kisses Nthe Moonlight+/ was 2001 US National Reserve Champion in Half-Arabian Western Pleasure Futurity, as well as being a multiple US National and Scottsdale Top Ten winner in open, junior horse, and amateur. Kim and Kisses Nthe Moonlight+/ added to their accomplishments by winning a Scottsdale Reserve Amateur Championship. The final Kisses foal; Raved-About Kisses was the only Kentucky Kisses+// foal the McAferty’s have sold. Raved was a five time Top Ten winner at US Nationals, Multiple Regional Champion, Scottsdale Champion and Top Ten winner in both open and amateur for then owner, Kiera Robinson. Kisses proved herself as a show horse and then as a broodmare; each time Kim sees one of her “kids”, she is reminded of her great connection with their mother, Kentucky Kisses+//. 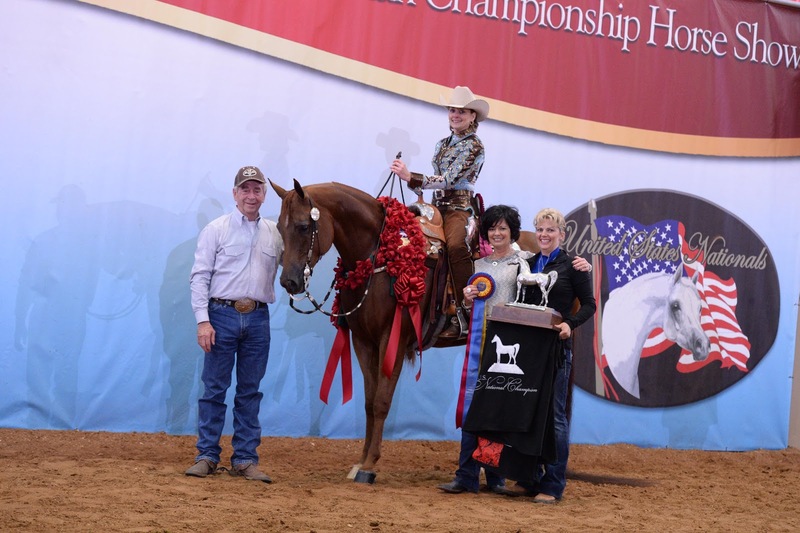 Through Bob Hart, the McAferty’s purchased a purebred chestnut mare, CHF Elegantka. Kim and Ellie earned a Top Ten at Scottsdale before Ellie returned home to have a filly by WN Knight Rider+//, LVF Elektra. Meanwhile, Ellie and Kim still have their regular weekly rides at home on the farm. In addition to having Arabian and Half-Arabian show horses, the McAferty’s also own a mule, Foxy. Foxy is the barn clown and Mike’s partner for riding in the mountains, as well as recreational trail riding. Although Kim and her parents enjoy the horses and all they have to offer, they also show a love for travel, especially anywhere there is a beach. Mike is an avid hunter, often packing into the mountains for an extended hunting excursion; while Linda enjoys reading, loving on the horses and supporting Kim in her horse endeavors. Kim is a solid mixture of both parents; she enjoys reading as well as shooting rifles with her Dad. Equally satisfying is the closeness that Kim has with her family, and how they simply enjoy spending time with each other! As horse crazy owners, once Kim and her family own a horse, they very rarely get sold! They become attached to them and the horses become part of the family. 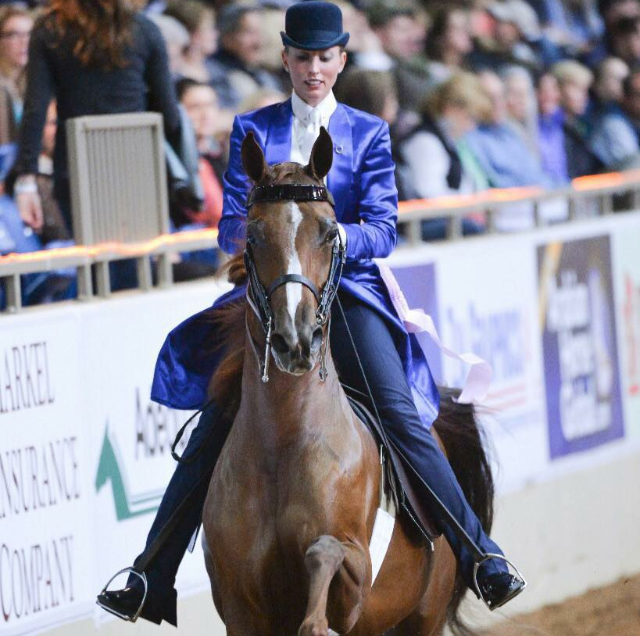 Kim is looking forward to the upcoming show season, with her first show being in Tulsa, Oklahoma in May. This will be her first time riding Elektra and she can’t wait to swing a leg over her “home-grown kid”!